You are here: Home / CD Reviews / DISTANT CUZINS– Need a Light? The Release Party for Need a Light is March 30 at the High Noon Saloon. Also performing are Honor Among Thieves and Late Harvest. Need a Light can be purchased here. 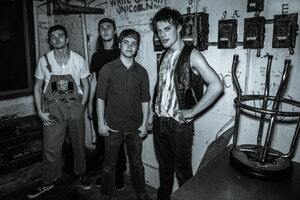 With some members not yet out of high school, Distant Cuzins has to be the most successful young rock band to come out of Wisconsin. They are two-time Rockonsin state champions (and a runner-up in 2015), a MAMA Breakthrough Artist winner, a MAMA Award winner and hold other distinctions. 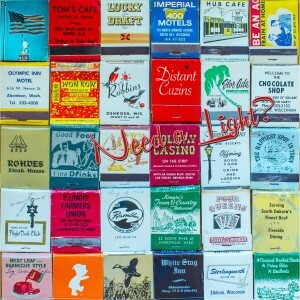 Need a Light is the standard rock outfit’s second album, following 2016’s Big (read the review here). It’s Distant Cuzins’ self-proclaimed mission to carry on the tradition of their forefathers and there is no reinventing the rock wheel here, just straight-ahead riffing with a solid rhythm section and the self-assurdness of their idols. Nic Tierman’s vocals have matured, his mix of George Thoroughgood cockiness and Mick Jagger swagger is convincing. Tierman’s bass comes to the fore in the first two numbers. 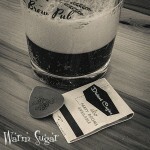 “Warm Sugar” screams out of the gate while “So Damn Fine” follows it up nicely. Ben Lokuta’s drums sound great, nicely captured by Blast House’s Dustin Sisson. Though their songs are strident, the Cuzins are deft at employing rhythmic change-ups that keep things interesting. “Don’t Wait for Long” is a prime example, a jagged rhythm in the verses with a punky chorus shout out. And just like that they go all rock ballad in the middle section. In this way they set themselves apart, displaying more ingenuity than the average rock band, going the extra mile for the attention-deficit world around them. The drama continues into the next song with a spoken-word intro outlining a bleak-city character named Gruphs Yamzo. Tierman spits out the vocal in punk-rap fashion while the twin guitars of Nate Krause and Sam Meiss syncopate in the left and right channels. Ferocious. “Sweet Special One” takes the swagger even further, a put-down breakup song worthy of the Stones with a similar loosey-goosey feel in the guitars. This one may have the best lyric: “You hate my life and you hate my car / But I only liked you for your dog.” That’s good enough to put on a t-shirt, which they promptly did. If you like rock music, you are fortunate to live in Madison. Spend a little time elsewhere and you’ll pick up on the thriving dirty rock underbelly our city has enjoyed for decades. Thanks also to sympathetic venue-owners rock and roll has persevered here. We should all appreciate these things by showing up. Distant Cuzins not only pay homage to idols who did their thing before the band members were born, they carry the flag of this strong Madison tradition into the future. Their generation is now showing its mettle, proving that there is good reason to trust in days to come. They’re not backing down and more power to ‘em. It’s good for rock and roll, it’s good for Madison and, frankly, it’s good for the country.